Tyler and Nikki Butterfield have happily settled back into their U.S. home base in Boulder, Colorado and are eagerly anticipating the next adventures of their 2012 season. 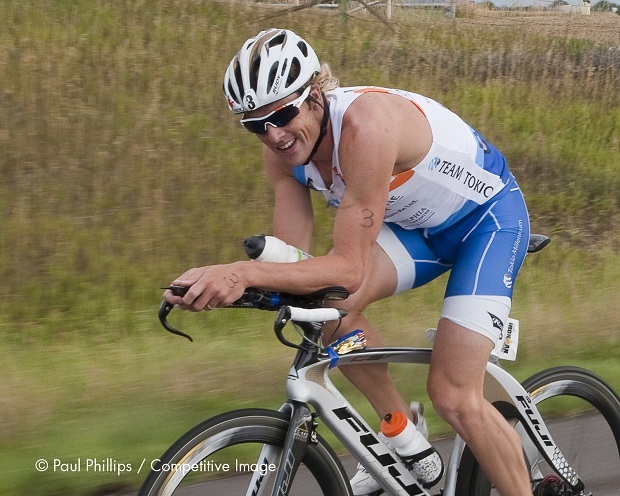 With Mr Butterfield’s recent fourth place finish at the ITU World Cup Huatulco, his hopes for a 2012 Olympic Team berth are ever closer to being realized. The Huatulco result moved him up 10 spots in the Olympic Simulation, from 55th to 45thposition, which bodes well for Bermuda’s inclusion on the men’s Olympic triathlon start line. Mr Butterfield is in Spain right now where he’ll race the final Olympic qualifying event this weekend, the ITU World Championship Series event in Madrid on May 27th. Following that race, the Olympic athlete selection will be finalized. At this point it is quite likely that Mr Butterfield will earn a spot in London, however he’s taking nothing for granted and intends to race to the absolute best of his ability in Madrid. Mr Butterfield looks forward to the final Olympic qualification results, as he will then focus on specific preparation for the Games. Assuming he earns the spot, his Olympic build will include a great deal of training at home in Boulder, as well as racing the Philadelphia Insurance Triathlon on June 24th and possibly the Dextro Energy Triathlon Hamburg (an ITU World Triathlon Series race) on July 21st depending on his progress at that stage. Mrs Butterfield’s next few races incorporate a variety of distances in the non-drafting format. First she’ll compete in Boise, Idaho at the Ironman 70.3 event on June 9th. She’ll then join Mr Butterfield on the Philadelphia Insurance Triathlon start line before heading to Germany to tackle the FrankfurterSparkasse Ironman European Championship in Frankfurt on July 8th. Both the Boise and Frankfurtraces are pivotal in Mrs Butterfield’s quest to accumulate qualification points for October’s Ironman World Championship in Kailua-Kona, Hawaii. “We’re thrilled with the way training, racing and life in general are shaping up for the season ahead,” said the Butterfields in a joint statement. “And we’re eternally grateful for the support of all of our sponsors, without whom the pursuit of our triathlon dreams – balanced with the family life that we cherish so dearly – would not be possible. We hope to make you all proud by turning in some of our best performances yet this year!